A fixed casement window has the same functionality as casement window, the only difference is that the fixed casement cannot be opened. It is a popular practice to combine fixed casements with other types of windows. 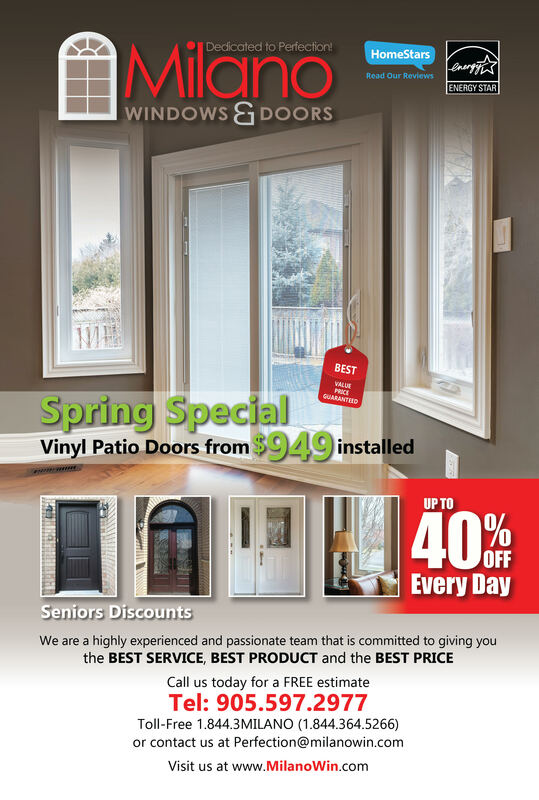 Give our experts at Milano Windows and Doors a call to learn more. These type of windows are ornamental and mostly used to provide sunlight while avoiding unsupervised opening. For example, these windows are popular for businesses, retail stores, high-rise building, or as a bay window design. They are crafted with a weather-tight seal to provide year-round comfort. Choosing Milano Windows and Doors Inc. When you choose Milano Windows as your window installer, you are choosing quality, transparent pricing, dedicated workers and guarantees. Our products are sold with a transferable lifetime warranty that includes any defects in the windows and doors installed and any flaking, blistering, peeling, corrosion, or fading of the vinyl frames. Give us a call today to learn how can you implement fixed casement windows into your home or office.